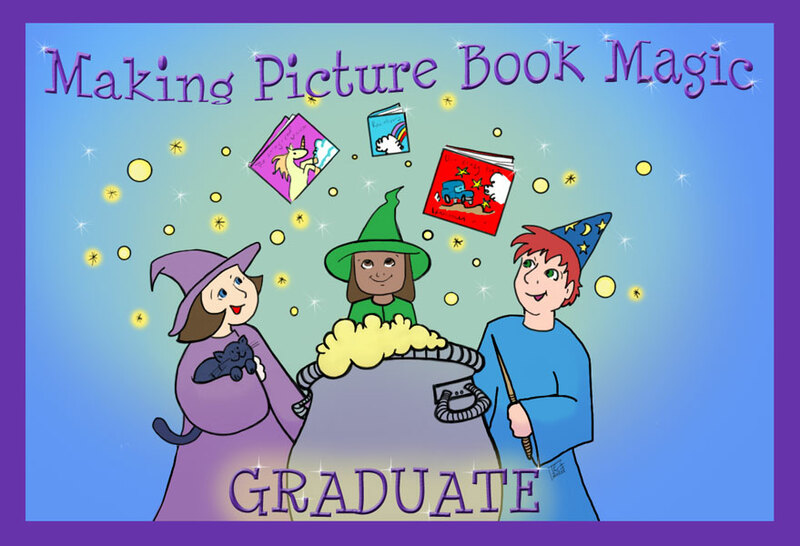 Today is Perfect Picture Book Friday, but I have some exciting news to share first…I just completed Susanna Leonard Hill’s Making Picture Book Magic class. I can honestly say that I learned more about writing picture books during the one month online course than I did in the last two years. More importantly, it was a hands-on experience ALL THE WAY – personally mentored by the lovely Susanna and filled with amazing comraderie and feedback from the other attendees…thank you to Jeanine, Carrie, Dana, Linda, Heather and Kirsten…for your support, encouragement and inspiration. Don’t you love getting packages in the mail? Yesterday the doorbell rang. The mailman had a package for me…I had to sign for it because it was from Singapore. I opened it carefully and took a deep breath, hoping I could bring back the scents of that beautiful city. I wasn’t able to detect anything in the air, but the contents more than made up for that. 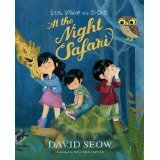 TWO PICTURE BOOKS from leading Singapore author, David Seow! Hip hip hooray! I don’t want to overwhelm you, so I’m reviewing one today and will save the other for another time. I read this one to my grandson last night…he loved it and wanted to hear it again…and we all know that is the sign that an author and illustrator have been successful. If you want to take a look at more wonderful picture book reviews, please visit Susanna Leonard Hill for this week’s contributions or access her amazing list of over 1000 picture book reviews on her blog. Three young kids are excited to join their parents on an evening trip to the zoo. They travel through the night safari on a tram, meeting elephants, zebras and lions. When the tram tracks are blocked by a sleeping giraffe, all the animals try to help. Finally, the three children decide to politely whisper in the giraffe’s ear to ask him to move. I read this to my five-year old grandson…after the first few pages, he was already chanting the names of the children – Sam, Sebbie and Di-Di-Di! Recommended by teachers, parents and children!!! IMPORTANT NEWS: Katherine will be one of our featured authors on Will Write for Cookies at the end of the year…I’m so excited! I know Clar has some awesome thoughts to share with us! 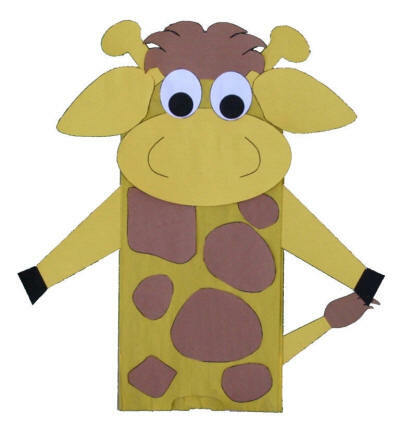 This entry was posted in Cooperation, David Seow, Perfect Picture Book Friday and tagged At the Night Safari, children's author David Seow, Cooperation, Make a paper bag giraffe, Making Picture Book Magic, picture book review, Problem solving by viviankirkfield. Bookmark the permalink. I have my personalized copy from David too and it’s delightful read! Susanna’s course sounds interesting. I’m adding it to my to-do course! I think I am making of collection of David’s books. :) I’ve got several of yours as well, Emily. :) And yes, Susanna’s course is more than interesting…it is a must-do! Congratulations on finishing the class. It’s awesome! The books sounds great. I love anything involving safaris! Hope you have a wonderful Friday! I know I’m going to love the Making Picture Book Magic FB page…looks like it’s a great community of helpful alumni! Well, who doesn’t love a book with a sleeping giraffe?? Nobody. That’s who! It sounds adorable. Congratulations on doing Susanna’s class. I felt the same way after I did it. I learned SO much! AND the story I worked on in her class is about to be my first ebook on MeeGenius! Oh Genevieve…that is fantastic! Please shout it out when it is ready…I’m into reviewing picture books…as you can totally see. :) Glad you liked this one! Isn’t there something about the night that makes everything magical? Hoping I can find a copy of this. Yes, there is, Wendy…it’s a sweet story…you will enjoy it! This sounds like a book kids would really love. Thanks for the review. What a nice surprise. I love the opening line in this story — it really makes you want to read more. And, a night safari is a different twist. Sounds like a lovely book. I’m so happy that Epigram Books put out this new edition…the illustrations are so bold and vibrant….I’m glad you liked it, Pat. Back in Colorado Springs, the Cheyenne Mountain Zoo had special night-time (around Christmas and New Years) zoo experiences. Wow – what a different world a zoo would be at night. A unique perspective for a PB. And how awesome to know the author. I will look for this one. David is a great guy…and I’m so excited…he has promised to send me a copy of Sam, Sebbie and Di-Di-Di…A Day with the Duchess (of Cambridge – she has his books for her little one)…as soon as it is out. Hope you pick up a copy…my grandson loved it! I would like to do a night safari! I Want to do Susanna’s course one day. I would love to do any kind of safari…what a wonderful experience. I’ve been to a Butterfly Museum…that was unique…like being in a rainforest and hundreds of butterflies hover and land on you. Yes, David is very generous! I”m honored that he has sent me a number of his books. Now you’ve got me psyched up for my Making PB Magic class, which starts Monday. I hear nothing but good things. I love the cover art on this book. I hope I can find it here in the U.S.
David’s book is available on Amazon…I gave the link. 🙂 There is a lot that is different from what our agents/editors expect here in a picture book…but I have to tell you…Jeremy LOVED it! And was entranced with the illustrations and enjoyed the simple, sometimes rhyming text. 100% AWESOME! And thanks for the welcome on the FB page, Erik…it was such an amazing feeling to step in and have so many people say hello! This looks like a fun book! In Glen Rose there is a real animal safari place called Fossil Rim. I’ve never been there because dogs aren’t allowed, but they have Night Safaris sometimes when the weather is nice. I’ve heard that ostriches and antelope have been known to sleep in the roads.